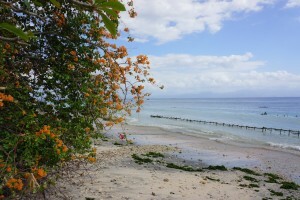 January to June have been exciting months at the Friends of the National Park Foundation at Nusa Penida, as programs have become increasingly larger and more influential on the island, new ideas have been implemented, and the bond between FNPF and the surrounding community has become stronger. The year began with harsh, unprecedented weather. Widespread flooding and even a small tornado did not stop FNPF from accomplishing many of its goals, however. I virkeligheden, it only bolstered the motivation on the island to prepare for a changing climate and become as self-sufficient as possible. 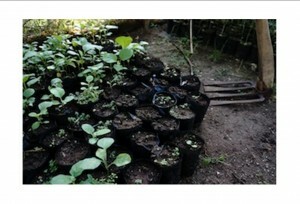 Three separate groups comprised of local and international students and volunteers have traveled to the reforestation site on the island, planting saplings in an effort to reach FNPF’s goal of ensuring 30% tree cover on the island, a percentage chosen as the baseline to ensure a healthy, biodiversity environment and a steady, local climate. Community clean-ups have been incorporated into the FNPF schedule every Saturday morning. The location depending on the day, sites have included schools, temples, and garden sites. One particular clean-up witnessed the participation of over 100 local volunteers. Each clean-up day includes providing education about trash disposal and waste management. There is a visible, lasting impact at each location where trash has been removed and properly disposed of. Adequate funding was received to initiate the FNPF organic garden project, which has in just six months grown to ten separate organic garden pilot sites throughout Nusa Penida. Local people are invited to attend a meeting before the ground is broken, and encouraged to harvest the products from the garden once they have grown. FNPF has also provided training courses to locals who have a desire to start their own organic gardens, and also provide the appropriate materials such as compost and seeds. FNPF continues to provide free saplings to local farmers. The plants chosen for breeding are those that can provide sustainably sourced resources such as wood, fodder, frugt, dyes, honey, and medicine. Species like teak, papaya, and coffee remain popular selections. I april 22nd, FNPF hosted an island-wide Earth Day celebration, where local high schools were encouraged to create an art project from recycled materials and were then judged on creativity. 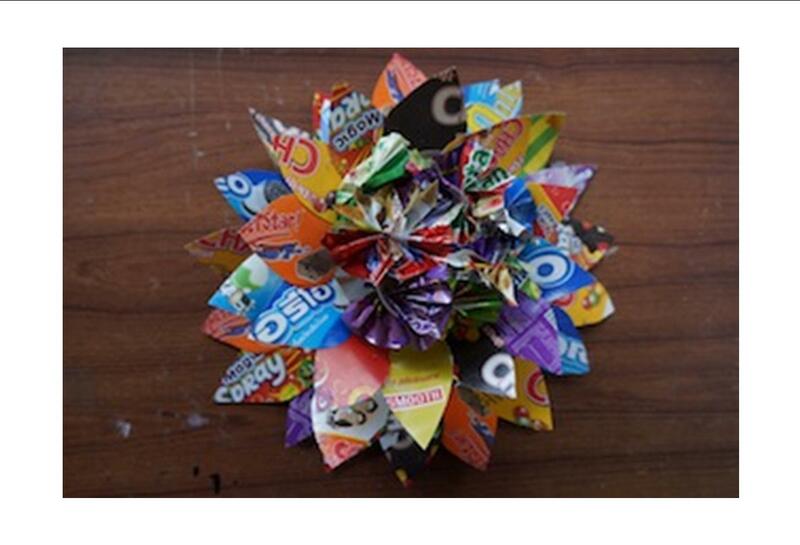 The finalists provided impressive, colorful sculptures in the shapes of flowers, a handbag, and even a replica of the ferry that travels from Sanur to Nusa Penida. Thanks to generous donations in the form of important school materials, disadvantaged students were able to visit the FNPF center and collect for free an assortment of notebooks, farveblyanter, rulers, pens and pencils. FNPF also received enough donated eye-glasses to make a substantial contribution to a local village. Both programs will become regular projects alongside the scholarship program, which distributed two batches of scholarships to students on the island this spring. The FNPF Nusa Penida headquarters has been extensively cleaned, two new home stays have been built for volunteers, and the library has been improved with new books, research materials, and children’s literature. Friends of the National Park have also been regular hosts and attendees to public holidays and community gatherings, such as Ogoh-Ogoh, Nyepi, and local weddings. The girls being trained in the art of Balinese Dance on FNPF grounds have even been invited to perform at local temples. Although FNPF hosted fewer volunteers during the wet season, the volunteer pool was never empty. People from all over the world – America, South America, Canada, the U.K, Europe, Scandinavia, and many local Indonesians — arrived to assist FNPF. Volunteers have built gardens, helped with reforestation efforts, cleaned up temples and schools, provided English lessons and waste management education lessons at local schools, written articles and press releases about Nusa Penida, designed promotional materials for the organization and even created Facebook pages for popular warungs. 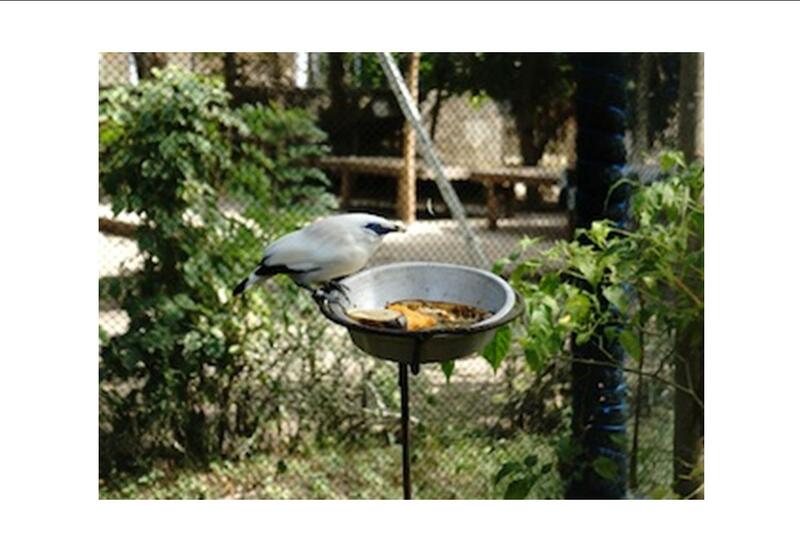 The Bali Starling program has expanded, as FNPF introduced ten new birds from West Java in order to improve the genetic diversity of the species on the island. Although a precise number is difficult to calculate, it is estimated that 100 starlings now fly freely on the island, and census reports from sixteen varied locations continue to be positive. Interesting species continue to be discovered on Nusa Penida: a multi-colored crab has been ear-marked as a possible un-described species, and a legless lizard, discovered by a student last autumn, was confirmed to be a new species by reptile experts this year. 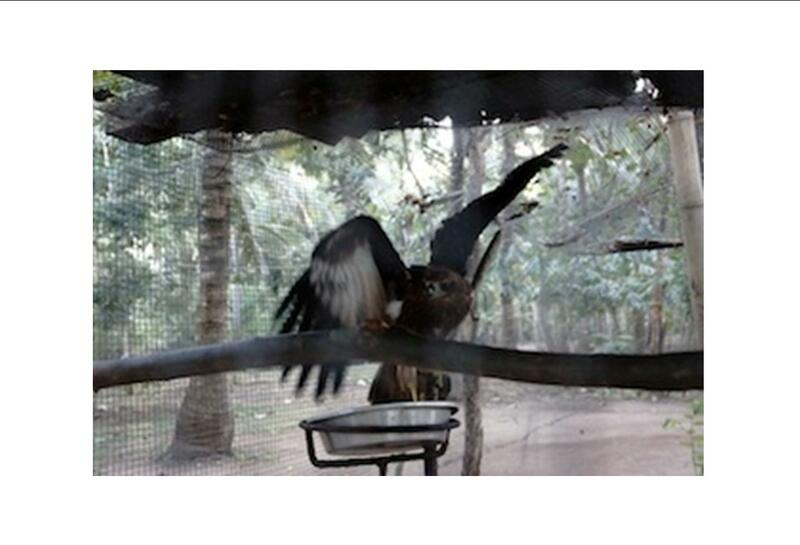 Avian rehabilitation has been extended to a new guest of FNPF, a Bhraminy Kite. 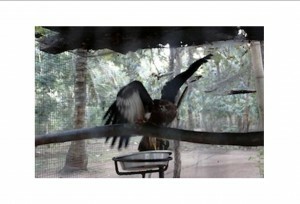 Also known as a sea-eagle, the wounded predatory bird was found by a local who could not feed the Kite its necessary diet, and called FNPF to step in. Currently healing at FNPF, the bird will be re-released on the island as soon as possible. Due to the dedication of staff, frivillige, and local communities, Nusa Penida remains known for its unique unofficial title of being a bird sanctuary and for being a remarkable destination for eco-tourism. Dog, FNPF continues to call on its friends for crucial support, without which programs could not be implemented. 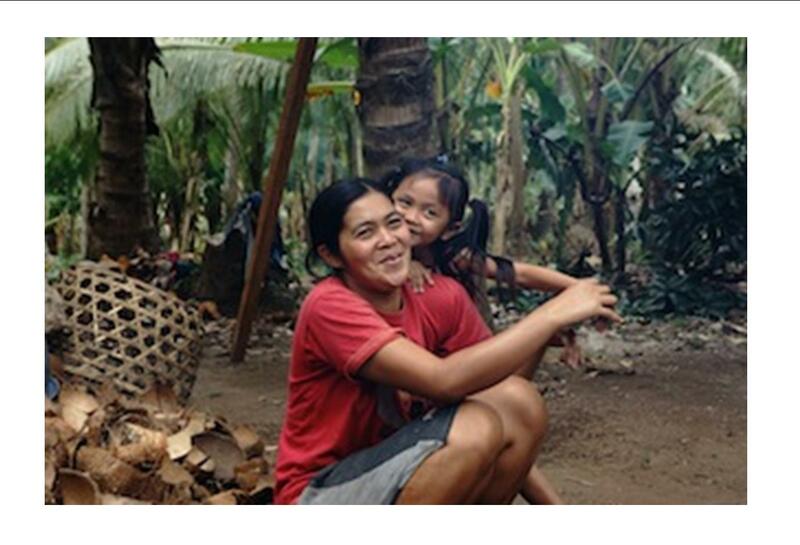 Proceeds collected to assist FNPF in the immediate future will go toward the expansion of the organic garden project, designed to ensure that local communities will no longer depend on importing essential food stuffs from Bali — a precarious relationship with relies heavily on inexpensive oil prices and good weather. Financial gifts will also be used to bolster waste management education on the island in order to improve the conspicuous trash issue at Nusa Penida.